I was pleased to hear the 20m band wide open this morning as I drove to work. I came across Matt - VK1MA calling CQ at around about 8.15 utc coming in loud and clear 5/9+ whilst driving over the moor tops. I put out a call back from my mobile FT-857 and was heard first shout by VK1MA who gave me a 5/6 - 5/8 signal report. I was pleased with the good report as I only run 70-80 watts into my mono band Maldol antenna from the Yaesu 857. I couple of months back I opened up the hidden menu in the FT-857 and backed off a few of the default audio settings, I also added a bit of top end to my modulation. The /M radio reports that I have been receiving since the adjustments regarding my signal and audio quality have been very positive and I have been working lots of Stations whilst /M, enjoying it very much indeed. 73 Hope to work you on the bands soon! Keep HF Mobiling! 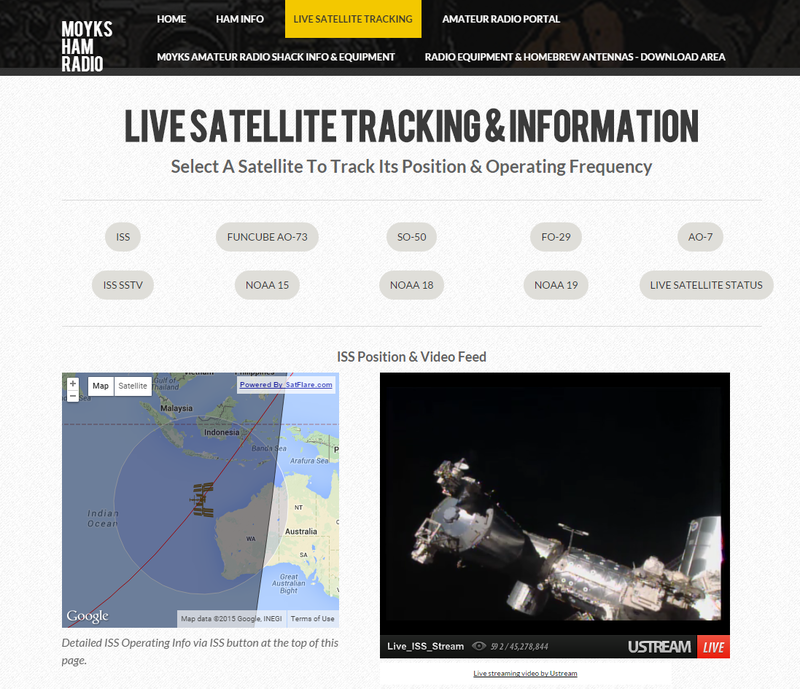 I just added a new page to my main ham radio site which can be found on the Live Satellite Tracking page. The new page can be accessed via the ISS SSTV button as seen in the above screenshot and contains SSTV images received from the ISS at my qth. Its still work in progress and I would be very happy to add any of your own SSTV images from ISS that you have received in the past or present.